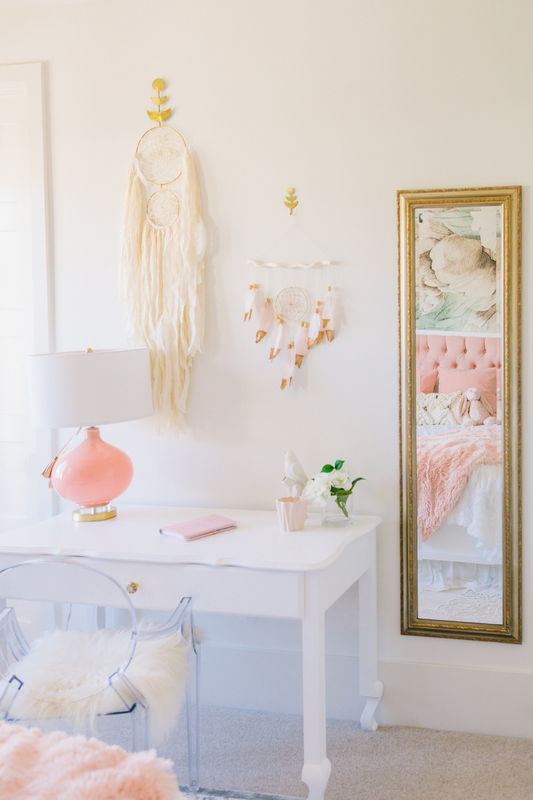 Every now and then, I’ll be working on a design for a nursery or kid’s room and I’ll think to myself, “I wish I could have this room for myself!” This was certainly the case for one of my recent clients who had a 7-year-old girl’s room she wanted me to design. 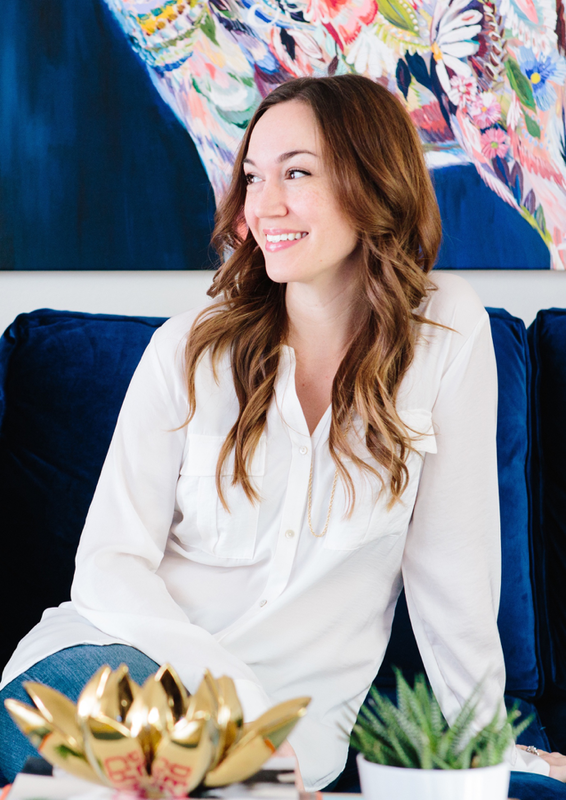 She wanted the space to be fresh and breezy with a few key elements: a wallpaper accent wall, a dreamcatcher and a cozy corner nook with a canopy. All things that I love! I started by choosing the wallpaper which became the centerpiece for the entire design. I chose the Blush Floral Wallpaper by Anewall. The large-scale floral pattern is so stunning, but the colors are soft enough that it’s still quite versatile. Next, I chose the furniture. My client wanted the furniture to be high quality with a feminine design, so I went with one of my favorite local brands, Newport Cottages. I love Newport Cottages because they allow for a lot of customization. This night stand and desk were both custom-sized, and I sent in this pretty coral fabric to be upholstered on the headboard. 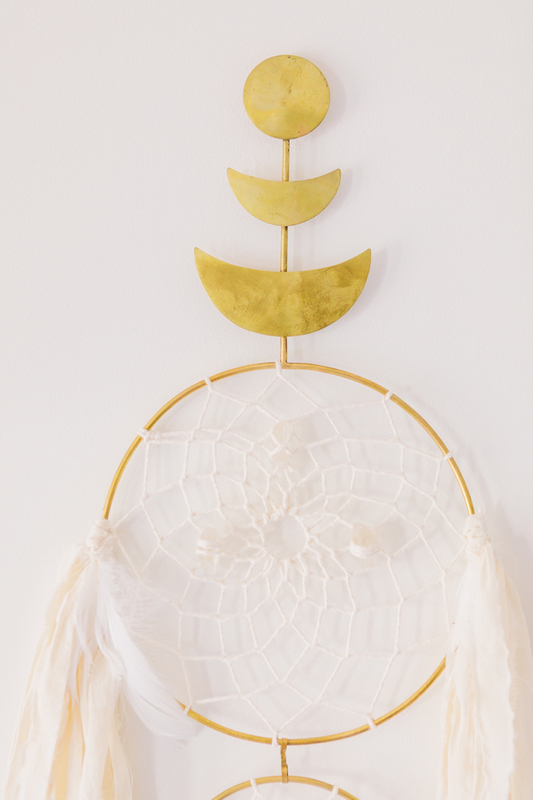 The one thing that my client’s daughter really wanted in her space was a dreamcatcher. We had a nice open wall above her desk, and I thought that was the perfect spot. I love working with smaller independent vendors, so I went first to Bright Star and Buffalo who collaborates with SpokeWoven on very unique dreamcatchers. The piece has such an ethereal feel, and the brass accents are all hand-forged (and so pretty in person). We finished off the space with a little reading nook and some floor pillows to give her a special place to snuggle. The space has everything a little girl could ask for and is transitional enough that it will last her for years to come!